There Are Two Kinds of Online Privacy. Facebook Only Likes to Talk About One. You’re not as in charge as Facebook would like you to think. 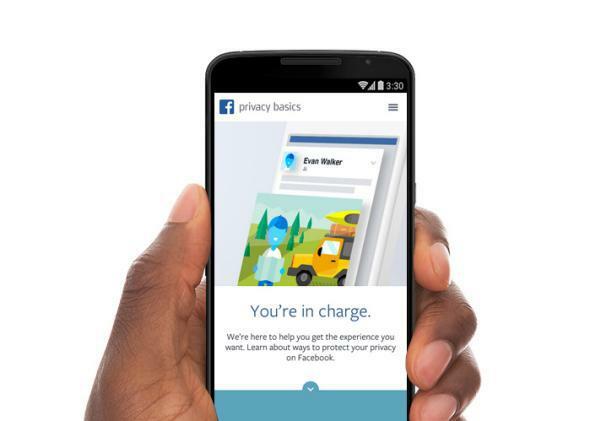 Facebook on Thursday rolled out a friendly-looking new privacy settings page, called “Privacy Basics.” With helpful graphics, cute animations, and a plain-English, step-by-step presentation, it’s more like an interactive tutorial than a page full of legalese. It will walk you through exactly how to change the privacy settings on your posts and your profile. It will tell you how to manage your friend lists, unfollow people, and prevent others from tagging you without your permission. It will even tell you how to customize what you see in your news feeds, including the ads. It has divided all of those features into three categories: what others see about you, how others interact with you, and what you see. But there’s one category of privacy settings you won’t find on the privacy basics page: how to control what Facebook itself sees about you. That’s because Facebook has no settings for that kind of privacy. It sees everything you do on Facebook, and it keeps track of it, and it uses it to build an ever sharper internal model of you, from your personal information to your likes and preferences to whom you interact with and how. And there is no way to change that in the privacy settings. In fact, the data that Facebook collects about you isn’t even mentioned on its helpful new privacy basics page. To find out more about that, you have to click on the little text near the top right that says “Data Policy.” That will take you to the company’s new data use policy, which was also announced Thursday and will take effect after a seven-day comment period. And while Facebook’s new policy is more clearly presented than some others in the industry, it’s not nearly as user-friendly as the privacy basics page. The data that Facebook collects on you does not stop when you leave Facebook. As it continues to expand its advertising business, the company has also begun tracking users’ Web-browsing habits (as Google and many other online advertisers do) as well as their activity on mobile apps other than Facebook. It’s all in service of helping advertisers target you with ever-more-personalized ads. It’s wonderful that Facebook continues to make its privacy settings easier to use. The ability to control what your friends, acquaintances, and random strangers see about you is important, and Facebook has been getting much better about this over the years. But it’s important to remember that there are two kinds of privacy on Facebook: the kind that has to do with what other people can see about you, and the kind that has to do with what Facebook itself can see about you. With its new privacy basics page, Facebook is shining a light on the former in a way that might overshadow the latter. That makes a lot of sense, from a business perspective, because it’s the incredibly detailed data that Facebook collects about you that forms the basis of its multibillion-dollar advertising business. Why should you care what Facebook sees about you? Well, from Facebook’s perspective, you shouldn’t. The company insists that it anonymizes all your data in its dealings with third-party advertisers, so that they can’t connect your behavior and demographic information to things like your actual name or email address. And it apparently expects you to trust its own security mechanisms implicitly. Its attitude seems to be that you shouldn’t worry about the giant file of information that Facebook is collecting on you, because Facebook will only use that information for benign purposes, like showing you more relevant ads. Well, the fact is that some people do worry about Facebook collecting a giant dossier on them. A new Pew Research survey finds that 91 percent of U.S. adults believe consumers have lost control over how personal information is collected and used by companies. More specifically, 80 percent of those who use social media say they’re concerned about third parties accessing the data they share there. And they’re right to worry, because, well, mistakes happen. Servers get hacked. Information gets misused. The NSA builds backdoors. My impression is that Facebook genuinely is pretty careful about how it handles users’ sensitive information, but no system is foolproof. And besides, you never know when a company will change its mind about what it’s allowed to do with the data it has collected on you. If you are the type of person who cares about this second type of privacy, then you might find the company’s privacy basics page just a little disingenuous. Click on the word “control” and you’ll reach a page that gives you a small-print option to visit a third-party site run by the Digital Advertising Alliance, an industry consortium. There you can opt out of interest-based advertising by a number of services across the Web that have signed up for a voluntary do-not-track standard, including Facebook. It isn’t a perfect fix, because those companies will still have the ability to collect your browsing information. They just promise not to use it for advertising purposes. Scout’s honor. You can find the Digital Advertising Alliance’s opt-out page here.